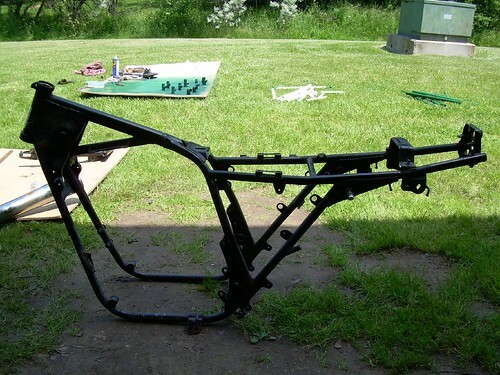 This is a stock 83 kz550 frame. I’m building a street tracker out of the bike. So the rear of the frame as well as most of the mounts have to go.